I was at the airport the other day flying to Singapore, I had a terrible upset stomach and haven't been eating at all since morning. 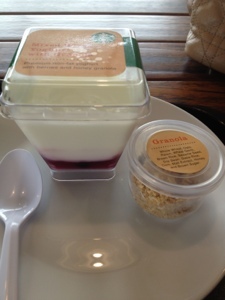 I pop in Starbucks to see if there is anything lite and healthy to eat. 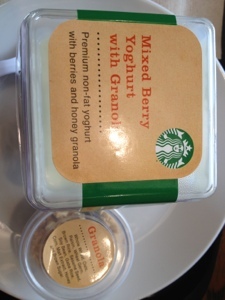 Found this Mix Berry Yoghurt with Granola. 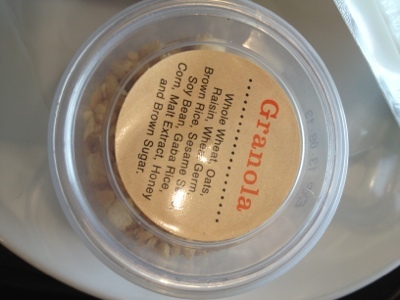 Granola is a kind of breakfast cereal consisting of rolled oats, brown sugar or Honey, nuts and dried fruits. It was so refreshing and I really felt full having it although it is only 150 grams. It says it is low fat so I guess it must be healthy. 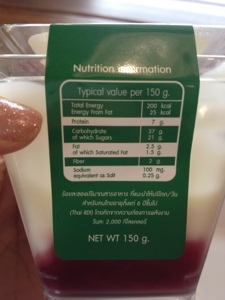 It cost around 70 Baht for one if I am not wrong. It is a bit pricy for me.